: The more relaxed sibling of L'Auberge de Sedona’s fine dining Cress on Oak Creek, Etch Kitchen & Bar offers indoor and outdoor seating and a menu of small plates and shareable dishes, and steaks, burgers and pasta. Cocktails, wine and beer are available. 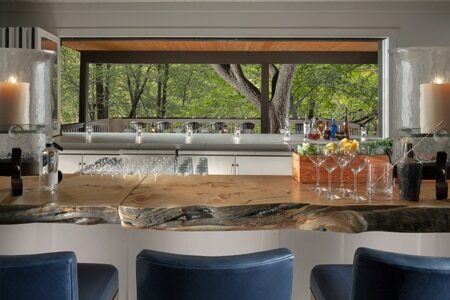 Unique to the restaurant’s setting is its 25-foot bar top, crafted with wood from a native Alligator Juniper tree.